During the BlizzCon 2018 opening ceremonies, Pete Stillwell of Blizzard’s Classic Games department didn’t waste any time in stepping up and delivering a game people have been salivating for and about for years and years. Warcraft 3: Reforged, a complete remastering of the original Warcraft 3: Reign of Chaos which completely changed RTS games forever sixteen years ago. People at BlizzCon will get the chance to play the remastered WC3 and see all the changes — the completely remodeled characters (which in some ways look better than they look in World of Warcraft, from what I’ve seen) and play through the Culling of Stratholme. This is a complete surprise announcement from the Classic Games department. There will be a standard edition and a spoils of war edition which comes with various special items across Blizzard games — this will include a special Meat Wagon mount in World of Warcraft. There’s already a website presence for Warcraft 3 Reforged so you can pre-order either the standard or spoils of war edition. I have to say that this game looks fantastic — possibly the most radically redesigned of the remasters, far far more extremely reworked that even StarCraft Remastered turned out to be. I’m very much looking forward to getting to play this. 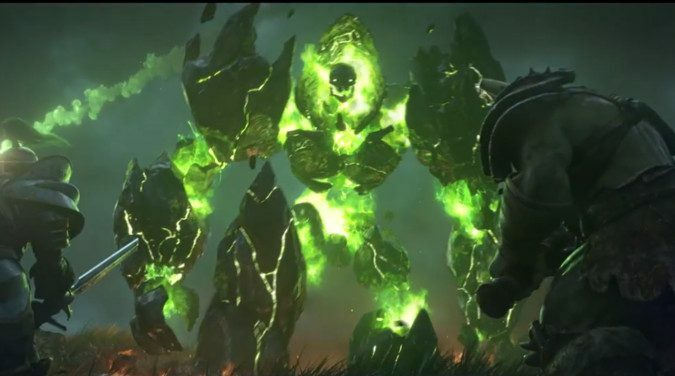 Head over to the Warcraft 3 Reforged site to take a look at what’s coming.